Your truck should be something that you can rely on without having to worry too much about whether or not it is going to cause you problems. While the best trucks provide you with years of reliable service with nothing more than adding fuel, having the oil changed, and some scheduled maintenance, if you aren’t careful, your truck bed is susceptible to damage that you might not have foreseen: rust. At Line-X Inland Northwest in Spokane and Coeur d’Alene, we can help you protect your truck from rust. Using the specialized Line-X bed liner formula, we expertly install your liner directly to the bed of your vehicle, ensuring a molecular bond that is permanent, extremely strong, and guaranteed to protect. Read on to learn more about why you need a Line-X bed liner and how it can protect your truck from rust damage. While we do live quite a ways from the ocean, we are not safe from the insidious threat of rust to our cars, SUVs, and trucks. Our area can be extremely wet and it doesn’t take a lot for rust to set in and start its destructive work. 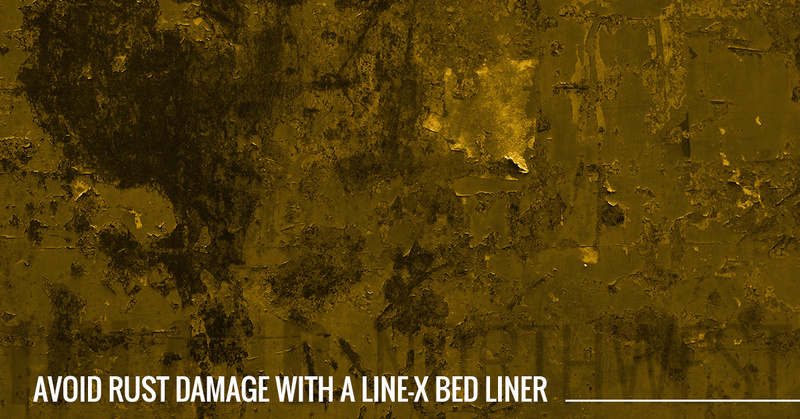 Even a single deep scratch or a dent that knocked the paint off of your bed, can be enough for oxidation to begin. If you use your truck for almost anything, this kind of damage is not just a possibility, it is an eventuality. It can take years for rust to work its way through your bed, but by then it is usually too late. In order to save yourself from having to purchase a new truck bed, give us a call at either of our shops in Coeur d’Alene or Spokane. 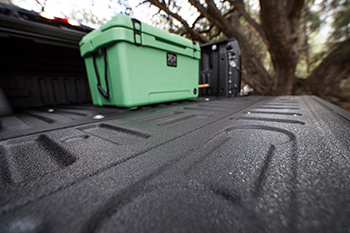 Line-X bed liners form a perfect bond to the metal of your truck bed, stopping oxygen and moisture from coming into contact with it. By creating an airtight and watertight barrier, Line-X effectively prevents rust from ever forming. In addition to its ability to stop rust, the Line-X material also looks incredible, has sound-dampening properties, and is designed to stop scratches, dents, and dings from marring the surface of your truck bed. Our highly skilled installation technicians are ready to help you fight against the destructive encroachment of rust on your truck’s bed, so give us a call today! 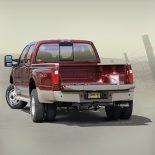 The sooner you have a bed liner from Line-X installed on your truck, the less damage your truck will have to endure. 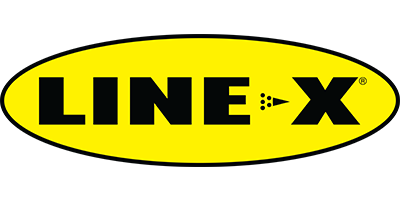 All Line-X bed liners and protective coatings that we apply are fully covered by the Line-X warranty. If it peels, bubbles, cracks, or flakes, we will repair or replace it. If damage that isn’t covered by the warranty occurs (this is extremely rare), we can quickly and seamlessly repair it to be as good as new. Call us today for a free quote on a new bed liner or any of the other high-quality truck accessories that we carry. We would love to help turn your truck into a vehicle that is perfect for you!